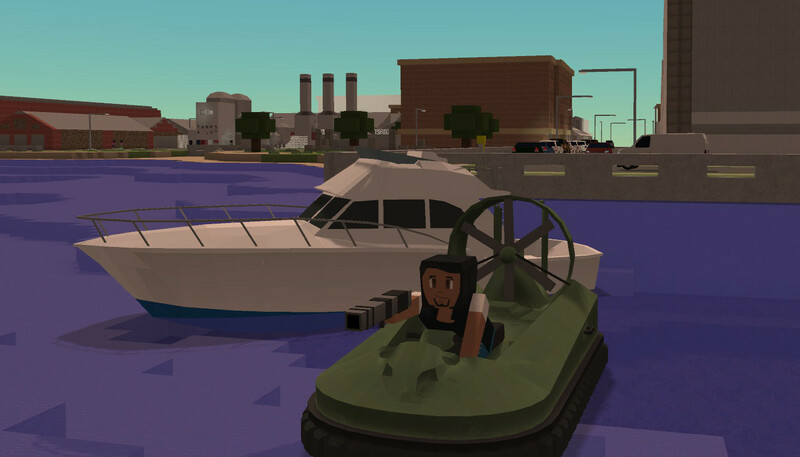 This week's patch adds some boats and hovercraft, together with marinas, hovercraft shop and canals! Lets take a look. 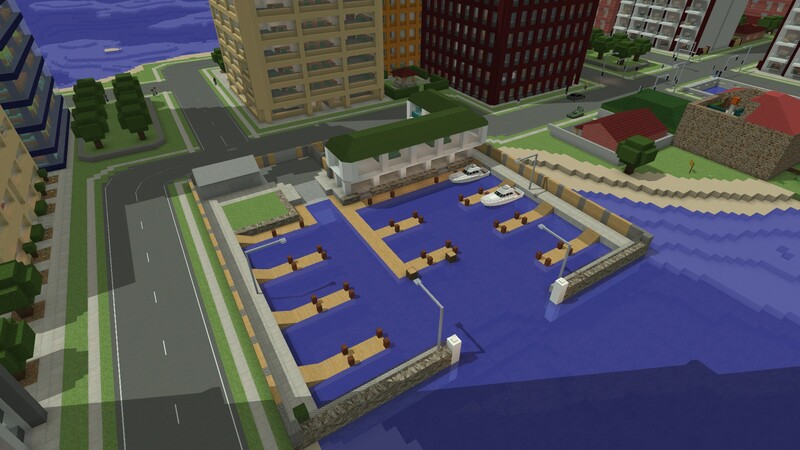 This weeks patch adds some boats and hovercraft, together with marinas, hovercraft shop and canals! Lets take a look. 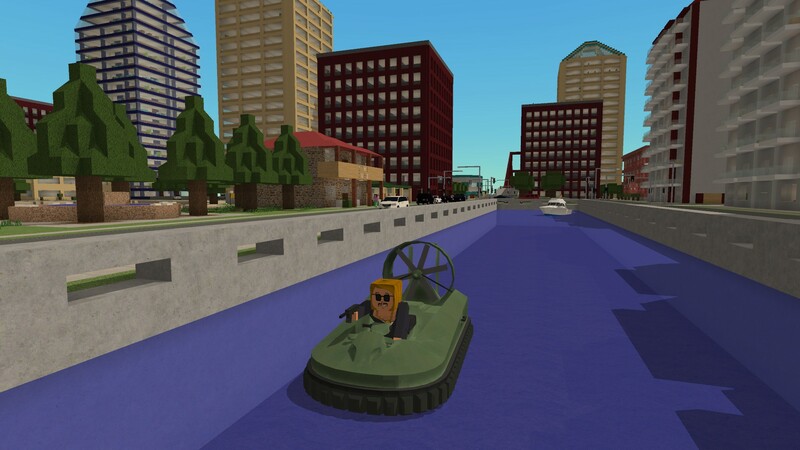 Hovercrafts are two person, all terrain vehicles. They can move on flat terrain or water at a moderate speed and climb slopes. They also have two “boost” modes: Boost Hover and Boost Speed. Boost Hover (hold JUMP, default SPACE) halves your speed but increases your hover altitude by 1m and tilts your craft slightly when you are moving forward. You can use this to climb out of water at beaches or climb hills! Boost Speed (hold SPRINT, default LEFT-SHIFT) greatly increases speed but quickly consumes your boost bar. 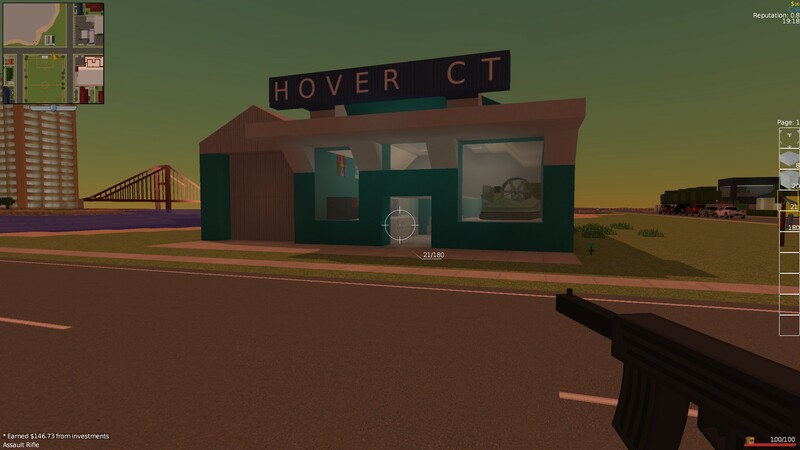 Hovercrafts can by purchased at the Hovercraft Shop. If you don't feel like paying you can snag one from the show room. Above: Hovering away without paying! Finally, hovercrafts can spawn in Sea Bandit Bases. 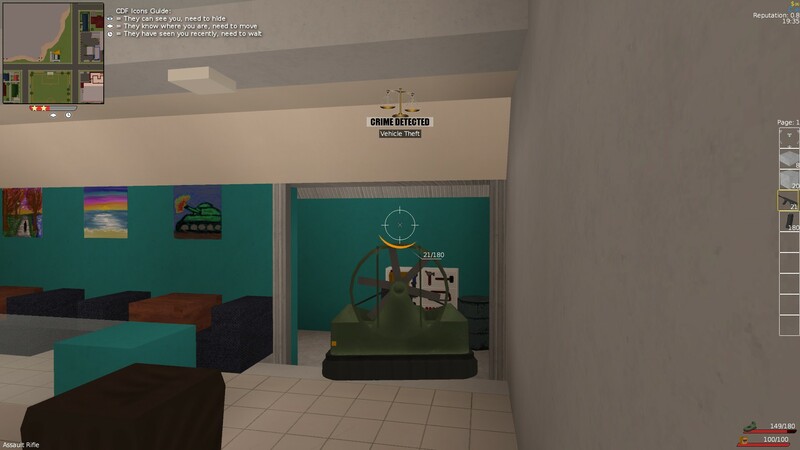 So if you're on a large map without a hovercraft shop (like a Turf Zero map)/ Note that this only works in maps generated on or after version 1.0.19! 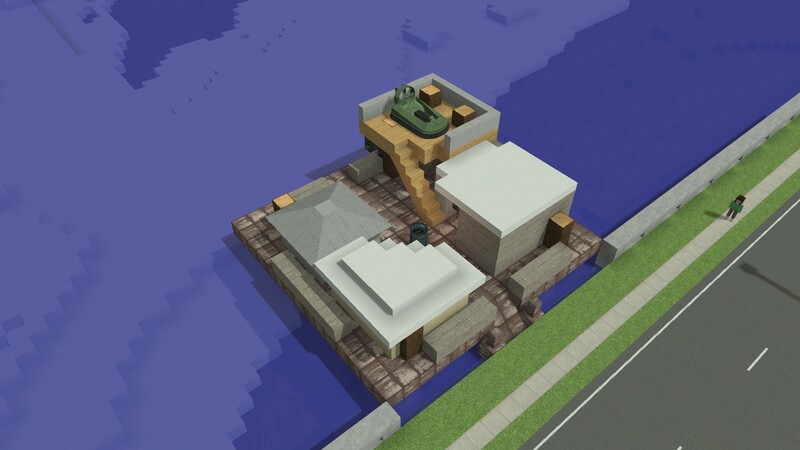 Above: The spawn location on a Sea Base! Boats are moderately fast water vehicles. You can buy one at the Marina, or you can steal one from a berth out the back. 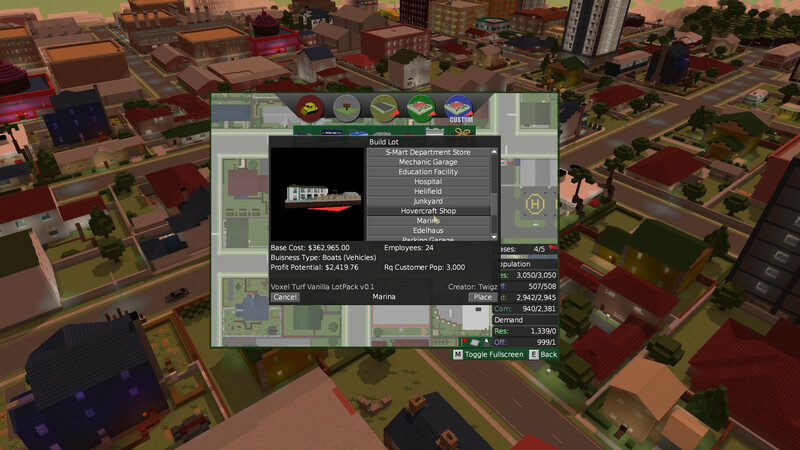 Marinas do not spawn either in city generation or zoning, you'll have to build one yourself. Canals allow you to make waterways. I mainly use them to neaten up a path to my Marinas, but you can use them to make canal systems in your city, or artificial river systems or even a moat for your forts! Its up to you! If a canal is placed next to a road then a crash barrier will automatically created.